Tim Harford, is the author of the best selling economics book - "The Undercover Economist". This book was part of a new genre of 'worldly economics' - Economic books that seek to make the subject relevant to real life issues in a non technical way. The Logic of Life is another book written in a similar vein. The logic of life seeks to offer more economic explanations for seemingly irrational behaviour. Amongst other things it explores why your boss is likely to get overpaid, why restaurants can overcharge a large group and why perceived risk of sexual transmitted diseases can change the sexual behaviour of teenagers. It is fairly non-dogmatic and doesn't aim to be the answer to everything. But, it succeeds in raising interesting questions and solutions that could easily be ignored. 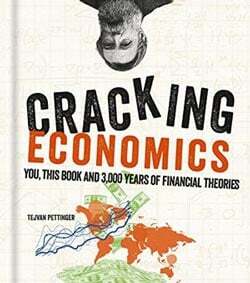 You don't have to be an Economist to appreciate the book. It is written in a interesting and conversational style which is appealing to all readers. There is also a lack of economic terminology. In fact, the book is as much about life decisions as it is about economics. Many of the issues could easily be taken up by sociologists. Tim Harford works for the Financial Times and lives in London. In the past he has worked as an Oxford tutor and for the world Bank.